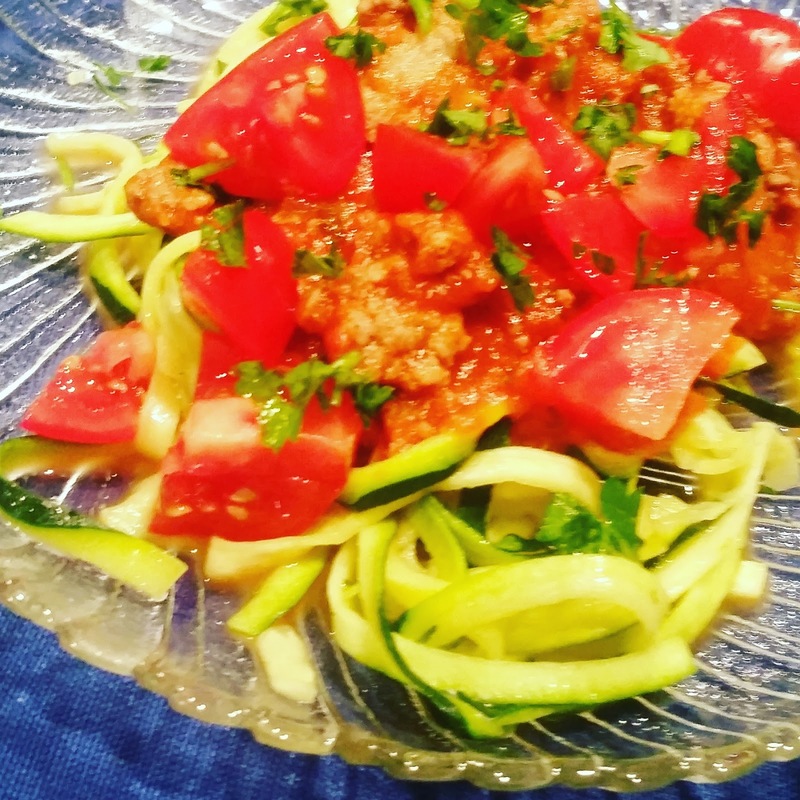 A tasty alternative to traditional pasta. Great texture and no carb fog afterward. Healthy and light with lots of flavor. So scrumptious you'll want to eat the whole pan and you can without the guilt! Dice the onion and sautèe in a skillet until translucent and soft. Add in the ground turkey seasoned with salt and pepper and cook through. Pour in the pasta sauce and warm through. 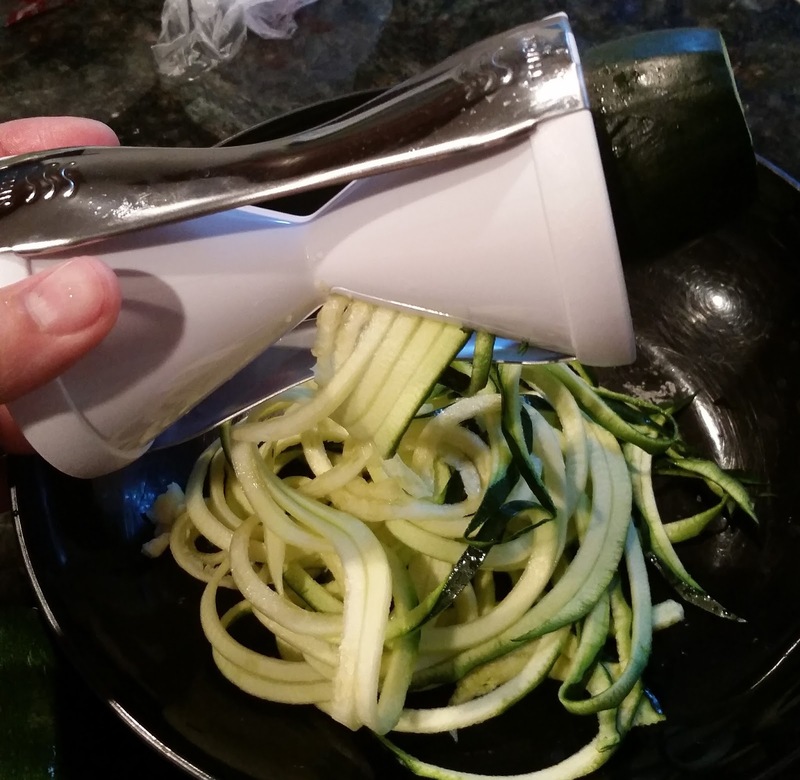 I used a Veggetti to cut my zucchini into pasta ribbons. 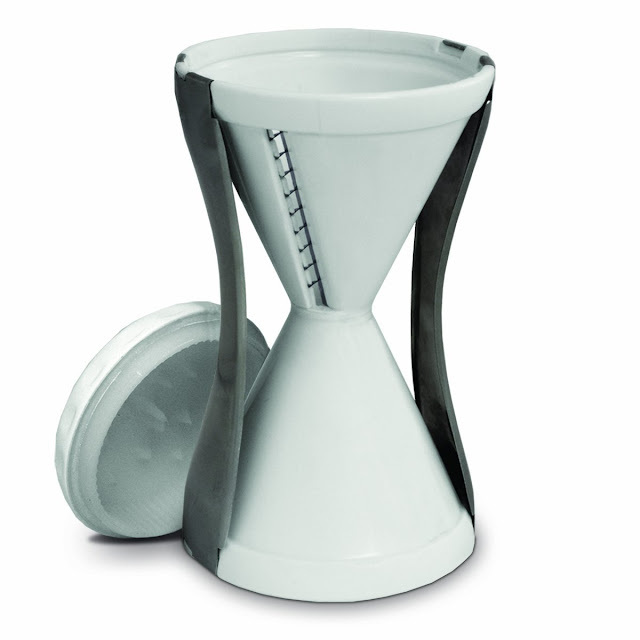 It is easy to use, easy to clean, and is inexpensive. 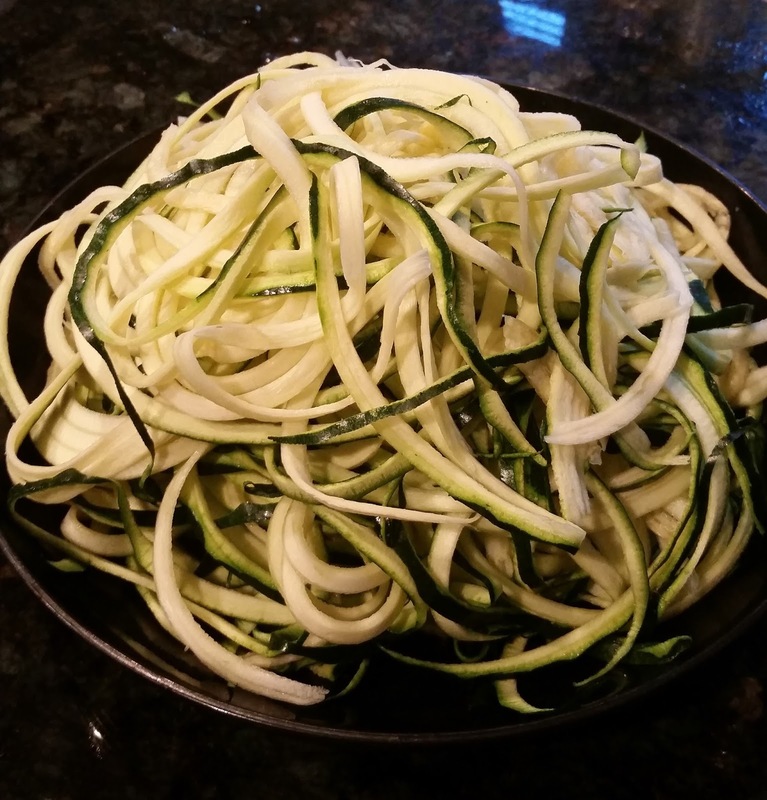 It has two sides and can cut strands that are sized like spaghetti or like linguine. Shred the zucchini. Melt a pat of butter in a skillet. Sautèe the zucchini stirring to coat every strand in the butter. 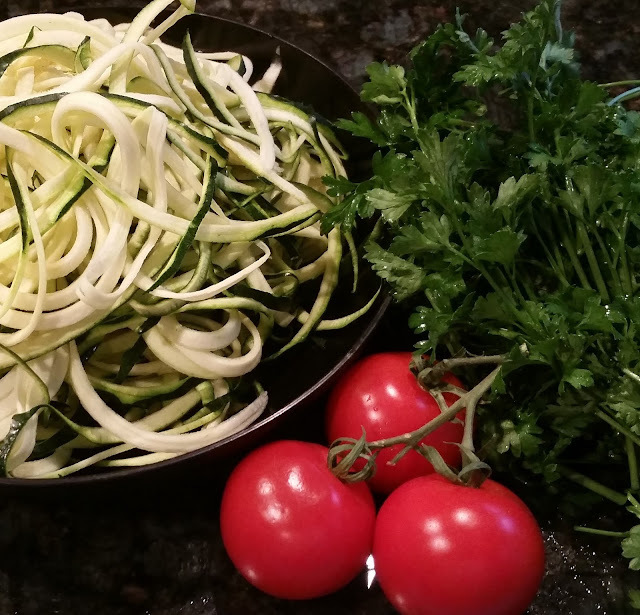 Cook until your zucchini is at the desired tenderness. I like my "noodles" al dente so I only left mine on the heat for about 10 min or so. Add salt and pepper to taste. Pile a plate with zoodles, top with the meat sauce, and garnish with diced tomatoes and freshly chopped parsley.